You want to travel around Europe, but there seems to be a problem. For whatever reason, be it fate or luck, you still haven’t won the lottery (yet). This means that for you, travel is limited to the no.37 bus (always over crammed and unsavoury) and your idea of posh food extends to After Eights. Your dreams of exploring the continent seem but a cruel financial fallacy – but all is not lost. InterRailing has been a rite of passage for many teens and students since 1972. It was first launched as a Europe-wide train ticket for under 21’s; costing just £27.50, it covered 21 countries, from the UK to Yugoslavia. Over 40 years on, it is still a popular form of escape for many young people today, and the advantages of InterRailing still apply more than ever. When planning your European Itinerary, an InteRailing pass is guaranteed to save you money, enabling you to travel for a fraction of what it would normally cost. The pass is designed for EU residents, but if you’re outside of the EU, fear not; simply purchase an Eurail pass instead. Head over to theInterRail website to begin planning and pricing up your journey; passes range from €281 for 5-10 days and up to €668 for a continuous month, whilst there are discounted rates for those aged 25 or under. Whenever and wherever you want to go, there's a range of InterRail passes to choose from that offer complete flexibility; for example, the keen globe trotters among you might prefer the InterRail Global Pass as it covers rail travel over the whole Europe. In a world of budget flights and limited legroom, there is something more traditional about train travel too; a romanticised form of travel, speeding across the open European countryside by train will definitely enhance your travel experience. An InterRail pass may allow you travel around Europe relatively cheaply but that does not make the cost of accommodation, food and entertainment any cheaper. However, if you plan your trip accordingly you will find that some countries provide better and cheaper alternatives; for instance instead of heading to the popular and the pricey French Mediterranean coast, why not give Croatia’s stunning beaches a chance instead? Berlin is one of Europe’s greatest cities – it rivals Paris on all points apart from cost. And, by travelling outside the high-season, you’ll save yourself a lot of money and dodge the hordes of tourists whilst you’re at it. Find out how to make the most out of a limited budget during your InterRail trip, so you have more cash to spend on the fun stuff! This is without doubt the biggest expense on any European adventure. The choice of where to rest your head for the night depends on your budget, but fortunately there are plenty of choices that are relatively cheap. But remember; no matter how desperate you are....sleeping at a train station is not an option! Hostels –this is the most popular choice and for good reason, as they are cheap and offer great opportunities to meet others. More often than not, breakfast, WiFi and bed sheets are included too. Hotel/B&B – If you are someone, like any old fashioned serial killer, who relishes solitude then search meticulously enough and you will find cheap hotels that offer the luxury of privacy. Night train – be your very own Axl Rose and ride the night train. Be warned though, you will have to pay an additional fee for riding, but this will be cheaper than staying somewhere and you will also be on the move while sleeping. Campsite – camping is a classic way to immerse yourself in the dramatic European scenery, with plenty of campsites dotted all around the continent. Remember though – you will have to lug the equipment around with you. Couchsurfing – This is an increasingly popular way to stay in new cities. This means that travellers can meet with locals and find free accommodation as well as having a tour guide to the city! Visit the website to find out more. Unfortunately an InterRail pass does not allow you to transcend time and visit over 30 countries in a short period. If you really want to get the best out of it then it is worth planning a route before, rather than squeezing as many countries in as you can – it’s ideal to see around four or five countries in a month. There are a number of popular routes to choose from, and here are a few ideas to help get you started. 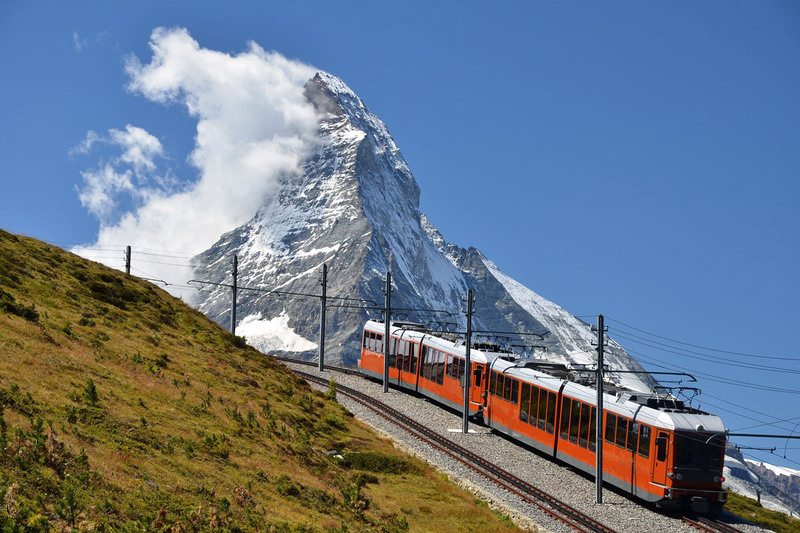 This is the most popular InterRailing route. This area is dense with things to see and do as well a plethora of options for getting around. The best thing is you can start or end any InterRailing trip here as most of the cities are easily accessible by cheap flights. One of the continent’s most fascinating locations, its huge expanse hides some wondrously beautiful gems with some of the oldest and best preserved cities in Europe. A little more challenging than Western Europe, but just as rewarding. This area of Europe exudes a certain charm; a laid back approach is married with a languid pace. In terms of geography it is the largest region in Europe, making traversing it by train a slight challenge. Copenhagen is a good start point as it is cheap to reach by budget airline. This is also one of the most expensive regions in Europe, but if you choose to do it you will certainly not be disappointed. Bordered by the Mediterranean Ocean, this area of Europe will lead you to fine cuisine, amazing beaches and even better weather. It is quite easy to travel around, with the added bonus of being home to some of Europe’s oldest settlements and civilisations. The Balkans is cherished by backpackers because it has everything from huge landscapes, fascinating culture and interesting people. Travelling through this region by train requires proper planning, but the lure of pristine Croatian beaches should be enough to tempt you. So you have your trip planned out and are ready to take Europe by storm – here are a few last minute tips to consider before you set off on your venture. Whether you are going to Paris or Prague, this is essential knowledge that will guide you through your journey! 1) Money, money, money. Youare going to overspend so make sure you have provisions for that. 2) Do not over pack. Nobody wants to lug a huge backpack around. Most hostels have a laundry room. 3) Book accommodation – leave it too late and you’ll be forced to book a room in a pricey hotel. Book early – save money! 4) Buy souvenirs sparingly. You are going to be carrying them round until you get home. 5) The European Train Timetable app found at Eurial is dead useful when checking times and routes. 9) Street food is cheap. Cheap and delicious. Don’t blow your budget on restaurants. 11) Alarm clock – you do not want to miss that train. 13) Find something useful that you can use as a pillow. A coat. Your friend’s arm. Or an actual pillow. 14) Window seat. Enough said.